Bengkoang fruit is quite popular for the people of Indonesia and many of the beauty products that use raw materials yam. Fresh fruit flavors bengkoang it can also be used to make your face to be fresh. Utilizing the yam pieces to be used as a natural mask is something that has been done by women. Did you know that the nutritional content is very much in the yam pieces, ranging from vitamin B1, vitamin C, mineral content such as phosphorus, iron, potassium, until retinon. The water content in fruit is very high bengkoang reach up to 90% so very delicious once if you enjoy being put de adalam fridge, very fresh. Nowadays a lot of outstanding beauty products that contain efficacious juice bengkoang.yang fade dark spots on the skin. 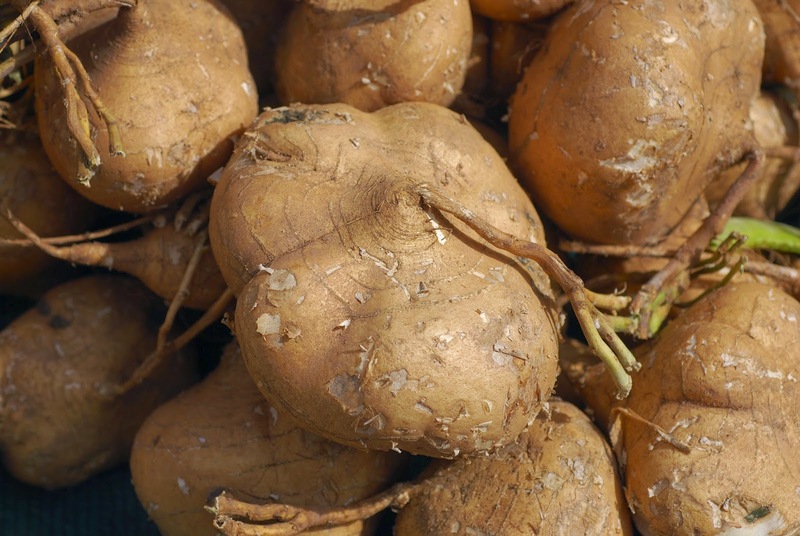 Yam can also be utilized for the purpose of whiten skin naturally. High content of vitamin C in fruit yam can help brighten the skin and prevent premature aging. Another benefit is that it can refresh the skin by making it as cold powder. The way is easy that is by grating 2 pieces of yam or can be blended. After the results parutannya filtered and left it for 3-4 hours. At the end of the day there will be sediment pollen and take yam starch. Mix the starch with 100 grams of wet rice flour. How to make the wet rice flour, rice by soaking for 1-2 weeks and then mashed. The mix of wet rice flour and yam nectars was add 1 teaspoon of lime juice. Form into a circle dots like marbles. Flatten and then dry for 2 hours. Before using talcum powder dissolve it first with cold water and then used as a powder. 4 Leave for 15-20 minutes until the mask is dry and then be rinsed clean.